Bordertown centers on the lives of two families living in a small town on the U.S.-Mexico border. 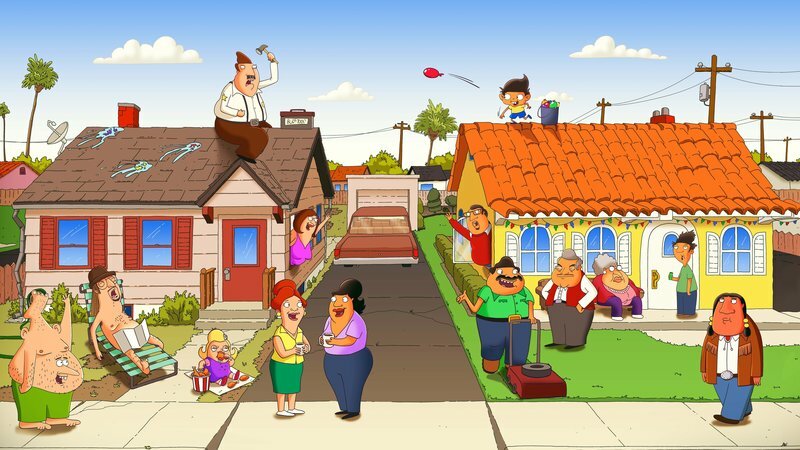 This week, Alt.Latino takes a deep dive into the animated Fox sitcom Bordertown with two of its writers, Lalo Alcaraz and Gustavo Arellano. Alcaraz is also the author of the Latino-themed syndicated comic strip La Cucaracha, while Arellano writes an advice column called Ask A Mexican for OC Weekly in Orange County, Calif. Together, they offer some behind-the-scenes insight into the creative process of the show, describe the pitfalls of ethnically based humor and discuss how they got away with joking about the Pope&apos;s skills with his chancla. This is a historic moment for prime-time TV viewing in the U.S., so it&apos;s a pleasure to bring in two guys who are helping to write that history.